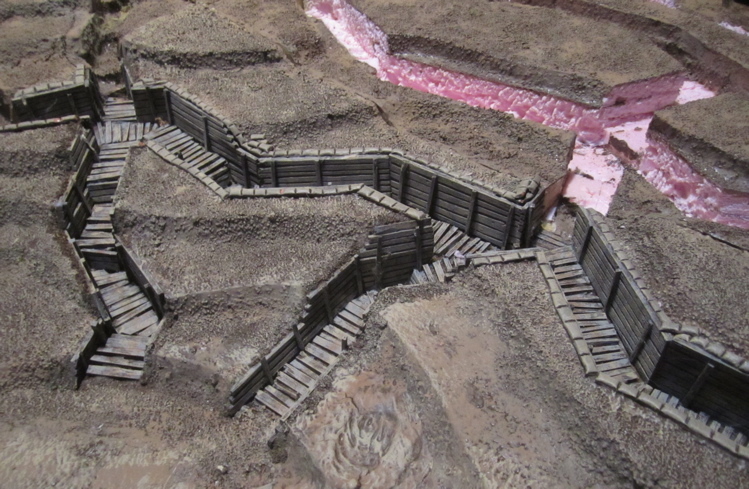 Tim's Miniature Wargaming Blog: On With the Vimy Project! That looks great Tim!! Keep up the work, looking forward to the anniversary. I don't think you need to model more than just the subway entrances/exits. Modeling the subways don't get you anything (unless the germans launch a seriously improbable counter-attack) other than a COOL! response. Admittedly, that is why we use minis, but you have MORE than enough on your plate as it is. You need to let go of the things that provide the least return. e.g. those four Canadian battalions in reserve should be the last thing you do. That's kind of what I am leaning towards after sleeping on it last night - just modelling the entrances. I'm even thinking I might just model SOME of the entrance/exits because there were six (SIX!) subways on the Fourth Division's frontage! I'll probably add in an occasional communication trench and dugouts for the mortar batteries. 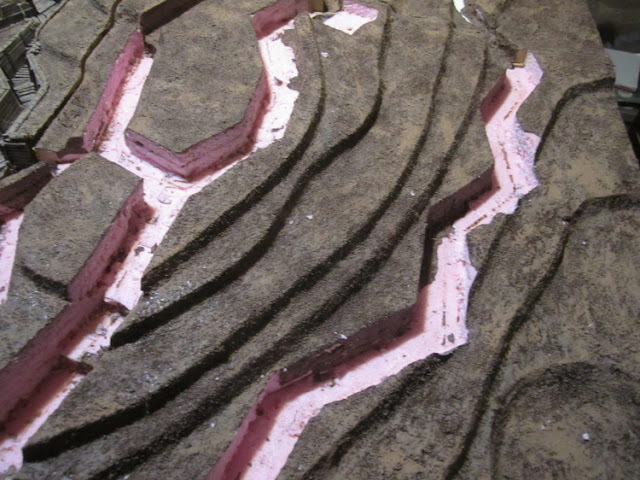 I've been back and forth about wether to add shell craters - like I did on the Regina trench terrain (because I really like how it looks). The problem is- especially on the Fourth Division's area of operations - it's hard enough getting figures to remain upright on the steep slopes (even though they're terraced). Adding in a bunch of craters might make it agonizingly annoying to move figures about and keep them upright. I may add in just a few - in more open areas. Especially if I can find where the larger mine craters were (I know there were a few!). HAHAHA Tim, all will be revealed come the 100th & your dedication to this cause. Don't forget you have a couple of budding assistant painters right there under your roof who could probably assist with painting all the sandbags/ revetments, floors to help you along. Just keep an eye that Kiera doesn't paint happy faces on them! 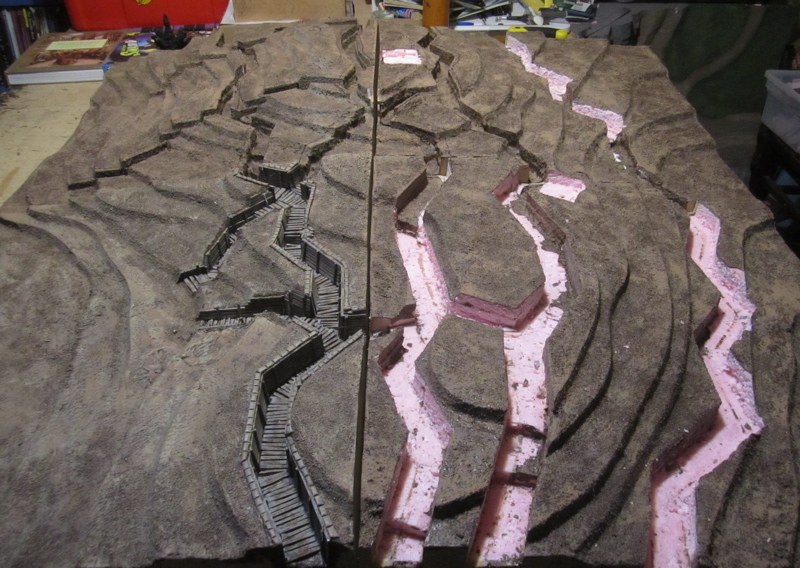 Actually, the painting part (of the terrain, at least) is relatively easy and quick-going. It's the measuring, cutting, scoring and gluing in place all the revetting that is most time-consuming. 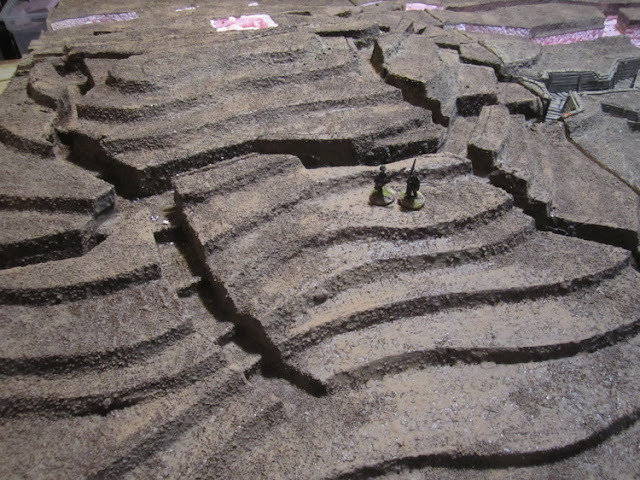 The Girl was instrumental in getting the Somme terrain finished - gluing all those duckboards in place for me. So, yes, I will definitely be recruiting her help in that. I'm not sure I trust either kid enough with sharp objects to help with much else at the moment! Holy cow Tim, this is going to be epical. But where on earth are you going to set it up? I very much hope to make it out for both the playtest and the actual game itself! Not at MY place! I thought I'd check out some local halls or rent a room at one of the libraries... the Legion hall would be ideal, being, y'know, right across the road. but I think it would be prohibitively expensive to rent for a Sunday... I guess I should get on that sooner rather than later! I'm sure there would be volunteers to help you cart stuff to wherever it ends up - maybe in one of those newfangled auto-mobiles! Blimey! I'm knackered just reading the plan. Rather you than me mate but I am sure it will be an epic sight when completed and an absolute blast to game on. Thanks Millsy! It'll certainly keep me busy (and, hopefully, out of trouble!) for the next few months! Wow! What fantastically massive project! 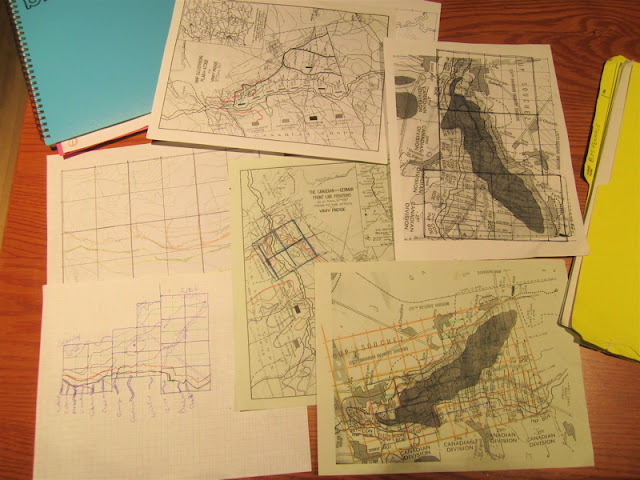 With your detailed planning, no doubt you will make your goal. A thousand figures, my goodness! Thanks Jonathan! It was a bit of a wake up call to take stock of where I was at earlier this week. I'm trying to stay positive about it and think "Hey, I'm over half done already!" rather than "Damn, I'm only just half done and I only have six months to go!?" Ah, you are a "glass half full man" or is that "project half done man?" How far from Spokane WA to Saskatoon? Well I try to be... otherwise I'd probably get discouraged and throw in the towel. Google maps tells me it's 1224km. 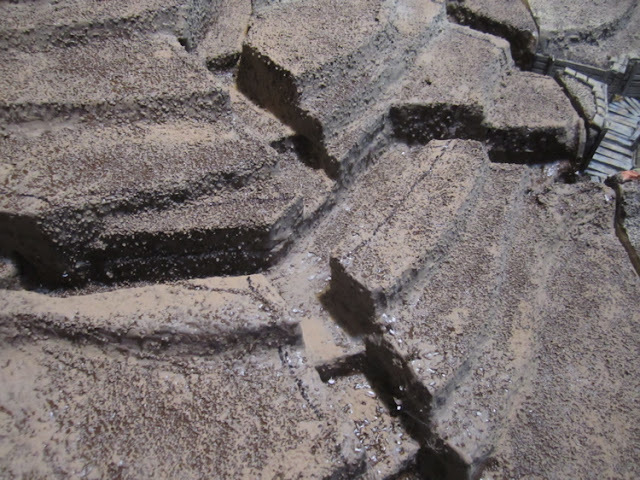 That terrain board looks just amazing Tim - Bravo! Thanks Curt! Hopefully it'll look even better when it's actually done!